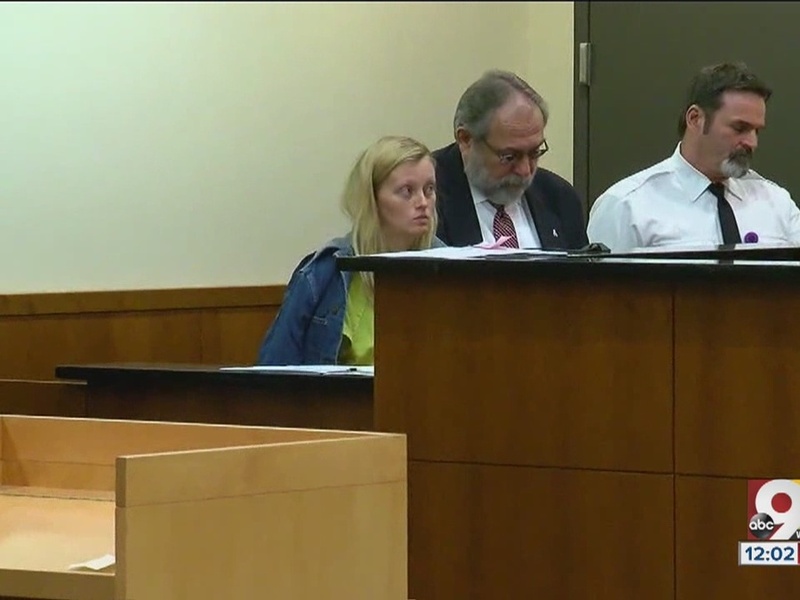 HAMILTON, Ohio – Rebekah Kinner pleaded guilty Friday on charges related to the death of her 2-year-old daughter, Kinsley. Kinner, 23, is guilty of involuntary manslaughter, permitting child abuse and endangering children. She f aces a maximum of 25 years in prison. Her sentencing is scheduled for May. Prosecutors said her boyfriend, Bradley Young, 26, beat Kinsley to death in early December, and Kinner did nothing to stop the abuse. Kinner told investigators that Young shook and punched Kinsley in the head multiple times. The 2-year-old then went in and out of consciousness and stopped breathing. She later died at the hospital. Kinner cried in court Friday as the judge read the statement of facts. Young has pleaded not guilty to murder, two counts of endangering children and involuntary manslaughter. His trial is scheduled to begin next month. Prosecutor Mike Gmoser told the Journal-News that Kinner will be on his witness list for Young’s trial. Kinsley’s father, Scott Senft, said there’s only one thing he can do when he sees Kinner and Young.